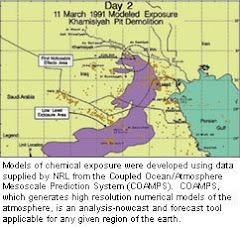 (91outcomes.com - April 5, 2017) -- For years, there has been confusion surrounding the differences between the Persian Gulf war geographic areas for receipt of the Southwest Asia Service Medal (SWASM) and for purposes of VA benefits. It has long been rumored that some Gulf War veterans who qualified for the Persian Gulf War service medal (SWASM) don't qualify for VA Gulf war benefits because their service was in Turkey, Syria, Jordan, Egypt, with Patriot missile crews and other U.S. forces and these countries' airspace and territorial waters. Despite that fact that both the medal and VA's Gulf War benefits are based on service in the same war, it is true that each have different geographic areas to qualify, and that some Gulf War veterans are eligible for the medal but not Gulf War-related VA benefits. "(b) The Secretary [of Veterans Affairs] shall prescribe by regulation the period Regulations, of time following service in the Southwest Asia theater of operations during the Persian Gulf War that the Secretary determines is appropriate for presumption of service connection for purposes of this section. The Secretary's determination of such period of time shall be made following a review of any available credible medical or scientific evidence and the historical treatment afforded disabilities for which manifestation periods have been established and shall take into account other pertinent circumstances regarding the experiences of veterans of the Persian Gulf War. " (c)(1) The Secretary shall prescribe regulations to carry out this section. " (2) Those regulations shall include the following: "
(A) A description of the period and geographical area or areas of military service in connection with which compensation under this section may be paid. " (B) A description of the illnesses for which compensation under this section may be paid. " (C) A description of any relevant medical characteristic (such as a latency period) associated with each such illness. " (d) A disability for which compensation under this subchapter is payable shall be considered to be service connected for purposes of all other laws of the United States. " (e) For purposes of this section, the term 'Persian Gulf veteran' means a veteran who served on active duty in the Armed Forces in the Southwest Asia theater of operations during the Persian Gulf War.". --the total land areas of Iraq, Kuwait, Saudi Arabia, Oman, Bahrain, Qatar, and the United Arab Emirates. For the purposes of this order, the date of the commencing of combatant activities in such zone is hereby designated as January 17, 1991. The VA's proposed rule was made final as announced in the Federal Register [Federal Register Volume 60, Number 23 (Friday, February 3, 1995), Rules and Regulations, Pages 6660-6666, FR Doc No: 95-2764, with an effective date of November 2, 1994, the effective date of Title I of the “Veterans' Benefits Improvements Act of 1994,” Public Law 103-446 [38 U.S.C. 501(a))]. 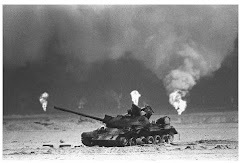 (1) the term ``Persian Gulf veteran'' means a veteran who served on active military, naval, or air service in the Southwest Asia theater of operations during the Persian Gulf War. The award of the Southwest Asia Service Medal (SWASM) comes from a second Persian Gulf war -related executive order by then-President Bush in March 1991, which broadly defined the geographic area of eligibility. Department of Defense regulations for the medal added greater specificity. Section 1. There is established, with suitable appurtenances, the Southwest Asia Service Medal. It may be awarded to members of the Armed Forces of the United States who participated in military operations in Southwest Asia or in the surrounding contiguous waters or air space on or after August 2, 1990, and before a terminal date to be prescribed by the Secretary of Defense. Sec. 2. The Southwest Asia Service Medal may be awarded posthumously to any person covered by, and under the circumstances described in, section 1 of this order. Sec. 3. The Secretaries of the Military Departments, with the approval of the Secretary of Defense, and the Secretary of Transportation with respect to the Coast Guard when it is not operating as a service in the Navy, are directed to prescribe uniform regulations governing the award and wearing of the Southwest Asia Service Medal. 32 CFR § 578.27 Southwest Asia Service Medal. (a) The Southwest Asia Service Medal (SWASM) was established by Executive Order 12754, March 12, 1991. It is awarded to all members of the Armed Forces of the United States serving in Southwest Asia and contiguous waters or airspace thereover, on or after August 2, 1990 to November 30, 1995. Southwest Asia and contiguous waters, as used herein, is defined as an area which includes the Persian Gulf, Red Sea, Gulf of Oman, Gulf of Aden, that portion of the Arabian Sea that lies north of 10 degrees N. latitude and west of 68 degrees E. longitude, as well as the total land areas of Iraq, Kuwait, Saudi Arabia, Oman, Bahrain, Qatar, and United Arab Emirates. (b) Members of the Armed Forces of the United States serving in Israel, Egypt, Turkey, Syria, and Jordan (including the airspace and territorial waters) between January 17, 1991 and April 11, 1991, will also be eligible for this award. Members serving in these countries must have been under the command and control of U.S. Central Command or directly supporting military operations in the combat theater. Thus, Persian Gulf War veterans who served in Israel, Egypt, Turkey, Syria, and Jordan (including their airspace and territorial waters) are eligible for the definitive Gulf War medal -- the Southwest Asia Service Medal (SWASM) -- but not for VA's Gulf War benefits, which exclude these veterans from qualifying for Gulf War-specific benefits. It remains unclear why neither Congress nor VA have ever updated the VA's more narrow geographic definition of the Persian Gulf War theatre of operations to provide equal benefits to these "other" Gulf War veterans. This puts some Gulf War veterans in the bizarre position of being authorized the Southwest Asia Service Medal for their Persian Gulf War service but simultaneously being ineligible for Persian Gulf War benefits from the VA.